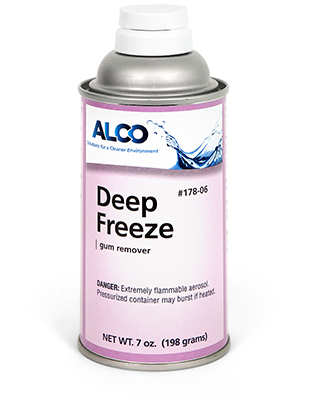 Alco Deep Freeze - Alco-Chem, Inc. Instant freeze spray that embrittles chewing gum and wax from carpet and hardwood flooring. Will not harm or discolor carpet, carpet backing, or soften tile.